Managing your finances in a healthy way is synonymous with tranquility. It also allows you to carry out projects that are important to you while living normally, without depriving you or indebting you excessively. It’s normal to make mistakes in life, but some mistakes may be more expensive than others and could even ruin your personal finances. Here is an error list that you may be doing, but you could avoid doing. 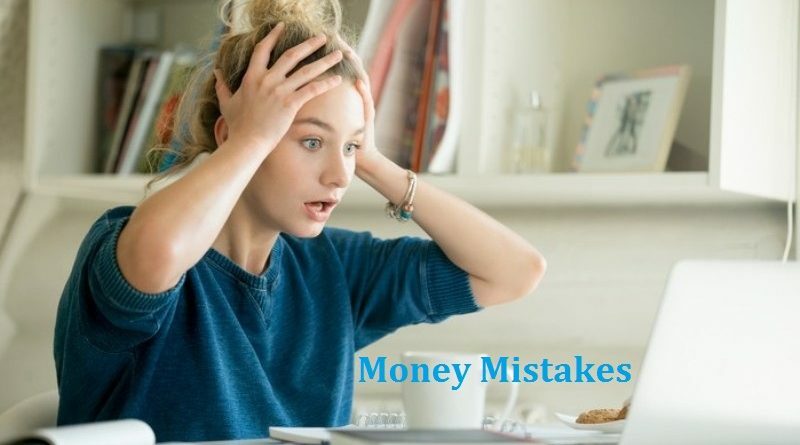 If you avoid mistakes that affect your finances and if you also adopt good habits such as save, plan, analyze, compare, you will quickly see the good that you will do to your personal finances. Let us look at the money mistakes now. It is always better to plan an annual budget rather than day-to-day, because of the tendency to overestimate monthly expenses, but to underestimate those spread over the year, resulting in a bad budget surprise. It’s hard to make real savings without putting aside a significant amount aside for each income. Landlords often tend to pay the mortgage quickly rather than saving for student debt, alimony, and other expenses. It may seem trivial but worry about little things to save in the end. For example, make sure to withdraw money from your own bank rather than using a machine that will cost you a fee. Or, make sure you do not pay excessive expenses on your credit card. It can make all the difference. If many people plan to buy a house or travel, some do not have very clear financial goals, and if they do, do not have a specific budget plan to achieve them. It is important to plan what you want to do with your money. It is easy not to worry too much about finances; do not look at statements, bills, or even discuss money with partners for fear of conflict or disinterest. 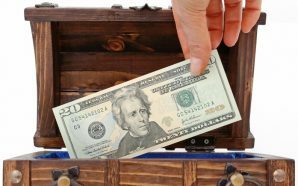 Many use these strategies to avoid financial management. But it is better to devote some unpleasant moments than to avoid the situation, which can get worse. Many know the amounts of their current accounts, bills, rent or mortgage to pay each month. But what you think about the smaller expenses? From groceries to clothing, to hobbies and restaurants, it’s important to keep the account, because the bill can rise quickly. Using credit to pay for things you cannot get otherwise may be convenient, but many do it without a plan or intent to pay for credit purchases. It will take one day, however, because we must not forget that credit is borrowing money that does not belong to you. Many big-box retailers now offer gift cards, which are actually credit cards. They grow in general, according to several analysts, to over-use and spend unnecessarily, and this at an accelerated pace to gain access to bonuses faster. These cards also have a very high interest rate. Saving money in a fund reserved for this purpose is not just about buying a last-minute plane ticket, but more useful, will help you survive if you become seriously ill, have an accident or emergency of any other order that will require you to miss work for an indefinite period. It’s easy to find excuses for not saving for retirement. However, it is important to do this regularly, all along your employability period. If the company you are working for does not have a retirement plan, open an account that will only serve that purpose. You will not regret once you arrive to enjoy your “beautiful days”. Do you think your credit rating is not important? On the contrary, your credit record has a greater impact than you believe in your personal finances and on your life in general. • A good credit history will allow you to rent an apartment without having to have a co-signer. • A good credit score will lower the cost of your car insurance and home insurance. • A good credit record allows you to qualify for a credit card with a low-interest rate. • A good credit rating will allow you to get an emergency personal loan when you need it, so you do not have to ruin your personal finances. Even when you have a solid financial plan, be aware that you are not immune to an unexpected expense. So of course, it can be a concern: a machine that breaks down, a sudden increase in your cost of production. Creating savings early on is important. Money and the situation of our personal finances are more of a state of mind than mathematics. Indeed, the first step towards financial independence is to make the decision to make it happen. If you do not have a financial advisor then sees the financial advisor as a coach who will guide you towards achieving your goals. Do not take references. Aim for easy money shots to your financial strategy. Not to be diversified any time. Do not follow your investments, follow your returns. Between paying tax on an appreciable capital gain and keeping a title to avoid paying taxes, what to choose? The title that you have kept too long can go into free fall and cause monstrous losses. It is a strategy that allows, in the long term, to reap significant income. But in the short term, we must be able to suffer the losses. Insurance is a means of transferring the cost of a potential loss to an insurance company in exchange for a sum of money paid according to the terms and conditions of a contract.